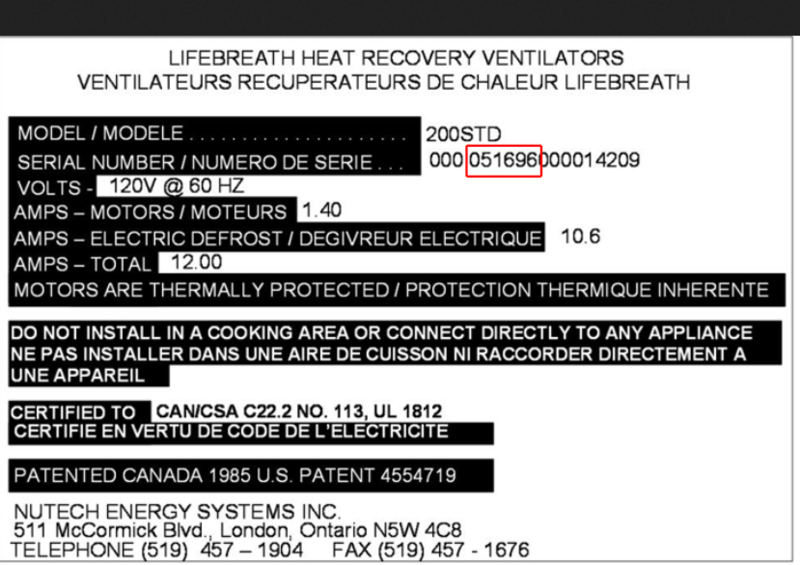 How to determine the date of production/manufacture or age of Lifebreath® HVAC Systems. 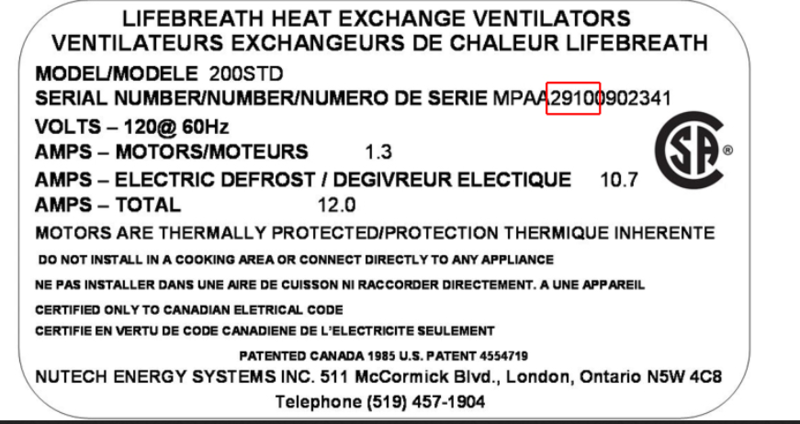 The date of production/manufacture or age of Lifebreath® HVAC equipment can be determined from the serial number located on the data plate. Parent Company: Airia Brands Inc. Description: Fifteen (15) character Serial number begins with four (4) letter digits followed by eleven (11) numerical digits. Year of manufacture can be determined by using the combined 5th & 6th numerical digits and reversing the order. Month of manufacture can be determined by using the combined 7th & 8th digits. Description: Eighteen (18) digit numeriacal Serial number. 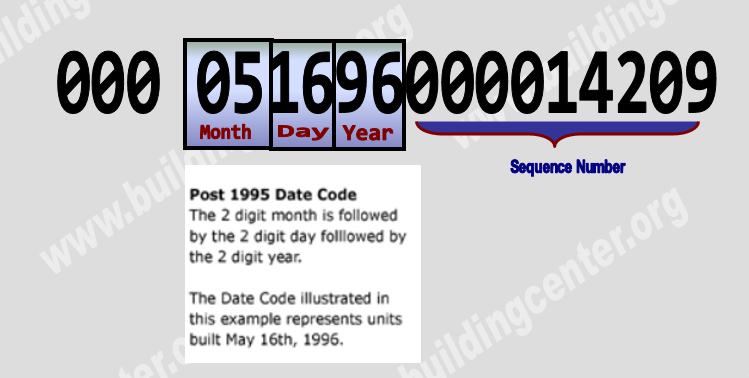 Day of Month of manufacture can be determined using the combined 6th & 7th digits. Year of manufacture can be determined using the combined 8th & 9th digits.